knows what his audiences like to see, and delivers quality entertainment. Also, as an optional part of the show, JOCKO can include balloon twisting and comedy ventriloquism. JOCKO is a past President and Vice President of the Society Of American Magicians Assembly #194 Westchester County , N.Y. He has received awards for ''outstanding contributions to the art of magic, as well as outstanding stage performer''. Jocko was amazing. He kept 16 kids-mostly seven-year-olds-totally engaged, hysterical with laughter the entire time he performed. Even my son, the ham, tried to outdo him with his own opera singing Jocko never faltered. He just continued with the show and used my son's opera singing to make the performance even better. Couldn't have asked for a better magician for our sons last big kid birthday party. This will definitely be a performance to remember. Completely recommend him to anyone who's throwing a kid party! Great price and professional!!!!! 5 Star performance. My 6 year old's birthday would not have been the same without Jocko. He is professional in every sense of the word and very engaging with the children. All loved the balloons and the magic is fantastic. It's apparent that Jocko knows how to gear his shows based on the age group as he never lost the attention of one child. It was the talk of the party and guests that had seen other magicians told me that Jocko's performance is miles ahead of the others. We hired Jocko to entertain the children at my son's first birthday party and were so impressed with how he handled himself and worked the crowd. We felt our group was particularly challenging because of the wide age range of 1-15 but Jocko took it all in stride and entertained everyone. The younger kids were mesmerized while the older ones really enjoyed the entertainment and laughed a lot. I cannot say more about what a wonderful job he did. Hire him! You will not be sorry!!! 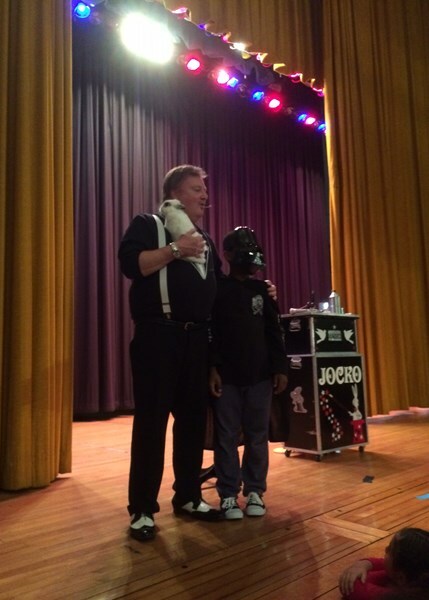 Jocko was fantastic, as he was able to get the attention of a group of kids from ages 3 to 73. He was great with all of the young kids, very patient, and was extremely accommodating with all of the balloon animal requests, etc. I would highly recommend jocko, because on top of the great job he did the day of the party, he contacted us a couple of times prior to the event to confirm details and asked questions to make sure he was prepared for what and who he was coming to entertain. 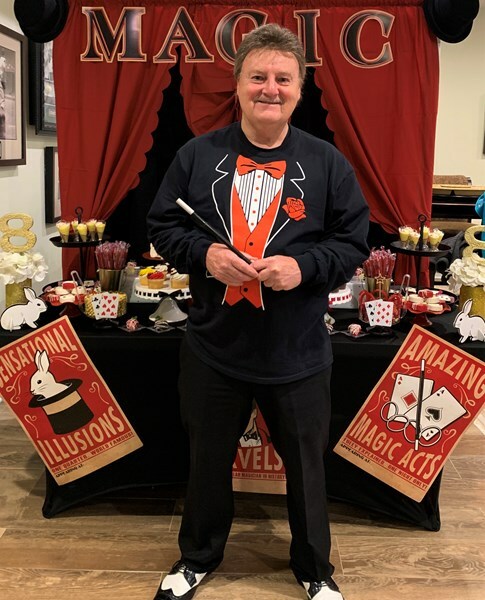 Jocko performed his magic show for my daughter's 8th birthday party. The kids loved him! They were laughing and actively trying to predict the outcome of his tricks. The live animals were a huge hit! He also made balloon animals for all of the kids which they enjoyed. It was also very easy to arrange logistics with Jocko. I was able to hire him on the phone with no issues. He called the morning of the party to confirm that he was coming. He arrived on time, set up quickly and was very courteous and polite. My son said he liked him "like 100%" My daughter said liked him "200%" Very entertaining and made sure to have the group participate. He was very good at keeping their attention and entertained. Great job! Thank you so much for your positive comments. I liked your children 300%. It was a fun party. My son had a blast, he was not feeling so good on the day of his party, jocko made him feel very special. All the kids at the party talked about the magic he did after he had left, always a good sign. I would recommend him to all my friends and family..
Jocko was very patient, when he arrived the birthday girl only had 1 guest, Jocko waited for the rest of the children to arrive and entertained them blowing up balloons. His show was fantastic and kept the kids very entertained, he also made the birthday girl feel very special during the performance. I would recommend Jocko to anyone who is looking for entertainment for their kids party. Thank you Jocko! 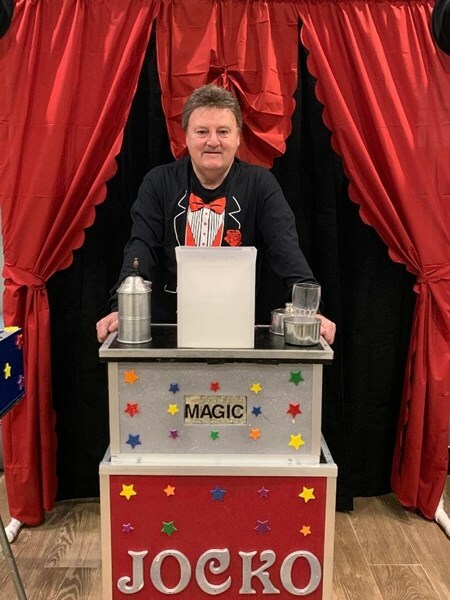 Please note JOCKO THE MAGICIAN will also travel to Lake Lincolndale, Mahopac Falls, Baldwin Place, Shenorock, Granite Spgs, Jefferson Valley, Jefferson Vly, Croton Falls, Granite Springs, Lincolndale, Putnam Valley, Somers, Amawalk, Carmel, Purdys, Shrub Oak, Yorktown Heights, Yorktown Hts, Goldens Brg, Kent Lakes.